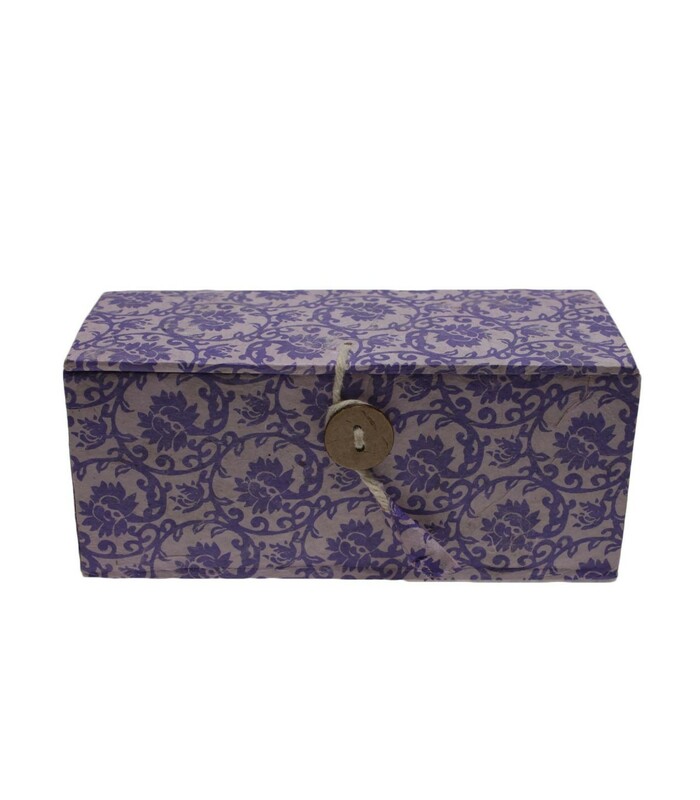 Handmade eco-friendly rectangular purple box. 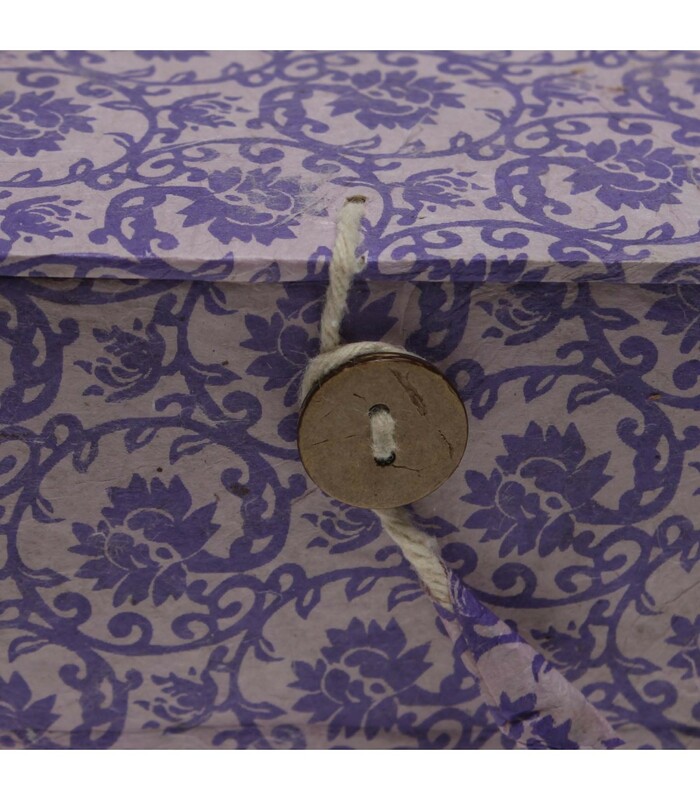 The box is made from hard cardboard paper and is wrapped with beautiful floral printed lokta paper. The lid can be opened and is secured with wooden button. You can put your jewelleries, colours, your collection items inside the box. 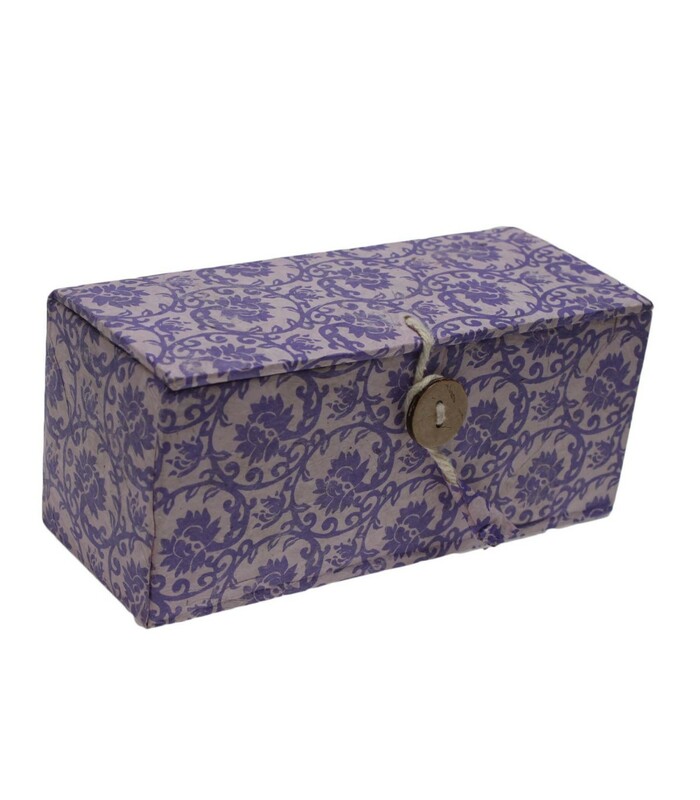 The lokta paper box is durable, and has anti insects and anti moth qualities.